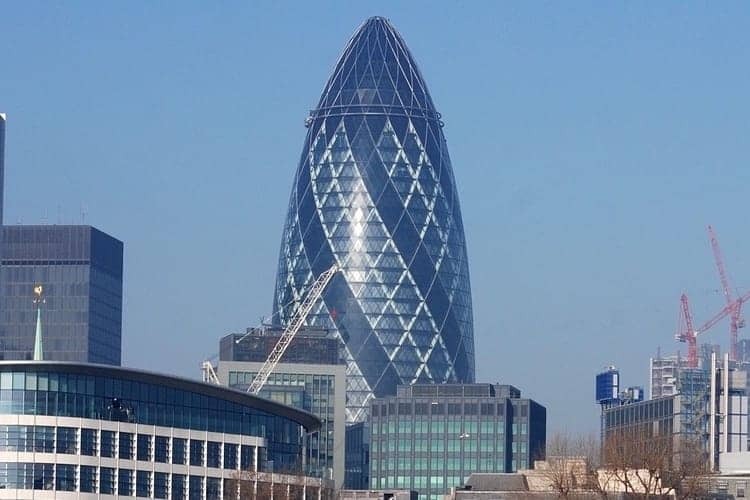 Formally known as 30 St Mary Axe, the building at this address is better known by its nickname 'The Gherkin'. A commercial skyscraper standing 180 metres tall in the city's Square Mile, it is a highly recognisable building on the London skyline. Designed by world renowned architect Lord Foster it was completed in December 2003. The top floors house Searcy's private members club restaurant and bar.